GWANDA - A Gwanda based trust; EduFoundation Trust has donated four metal bins to the Municipality of Gwanda in support of the national cleanup campaign done every first Friday of the month. 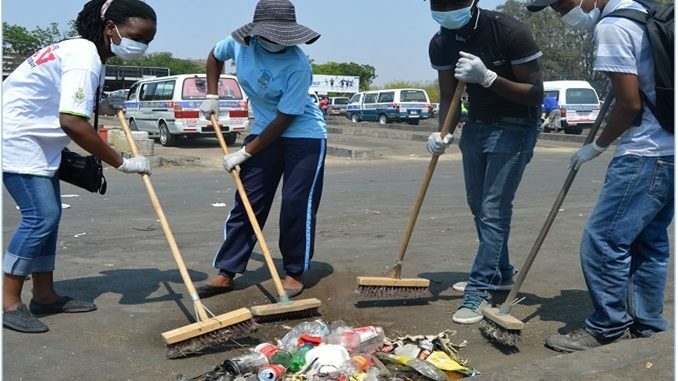 The Director of the Trust, Sikholiwe Sibanda said it is their second donation of garbage bins to the Municipality as they believe this will help to keep the town clean and avoid diseases. 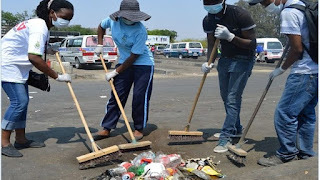 The bins were handed over to the health officer Dube on Friday at the town council premises while the clean up campaign spearheaded by the Minister of State started from Redcross business centre to Phakama business center.